Life can be frustrating and it’s easy to feel that way, especially when it doesn’t measure up to the world we believe should exist. However, comparing how we believe life should be vs. reality usually results in some form of existential anxiety. Today we’ll discuss Stoic strategies to find contentment, perspective, and peace. As a person of high anxiety on a normal basis, I’ve found Stoic philosophers complementary to biblical principles of self-control, discipline and the pursuit of living a virtuous life. Both the Bible and the Stoics remind me how I continually fall short of achieving perfect contentment, but they do encourage the key to finding perspective. Both the Scriptures and Stoics advocate perspective in life, asking why a slight or offense matters in the light of eternity. While it is very doubtful Epictetus is referring to God as Christians do, he is referring to a higher power at play in determining what roles we have in who we are and what we do. As this passage shows us, we cannot choose what roles we get to play, but we can decide how well to play it. C.S. Lewis once observed that God is most pleased with us when we are performing the roles He intended us for, the same delight an author feels with his well written characters. To you, dear reader I have a radical suggestion: Where you are at is exactly where God wants you right now. If there was anything better, you’d be there. Now of course, we may think of better options for ourselves: living in a mansion and having every want or need tended to; studying in a prestigious university surrounded by the finest minds; working in the profession of our choice; etc. This is not to say you may never achieve the dream you think best, but maybe it’s not ready for you now. The key to finding our contentment in these situations we dislike is to acknowledge we possess less perspective than God. We view life through the pinhole of our existence, with many unable to think beyond the present moment they are in now. God is all knowing and all powerful, seeing everything all at once. 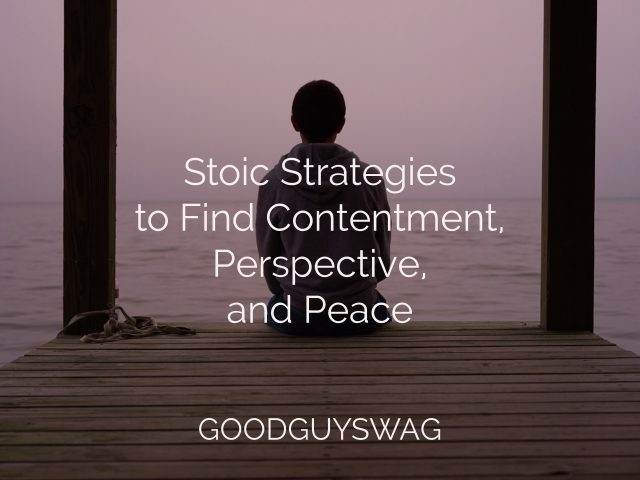 The following suggestions are Stoic strategies to find contentment, perspective and most importantly peace to pursue your role as you have it today. This list is not exhaustive, but are principles I have found helpful in my own struggle to find contentment. When we feel over-qualified or under-valued in where we are at or what we are doing, we’re tempted to withhold our best from the work. We do the minimum because we have a low personal investment in the outcome. This leads to decreased results and often self esteem. Instead, give it your best. Play the part you have and do it well. You may not like working retail or shelving dried goods, but if it’s where you are currently, give it the best you can offer. You may tell yourself you are saving your best for what “really matters,” but what really matters is what’s happening now, not an uncertain future. In the Gospel of Luke, Jesus says, “One who is faithful in a very little is also faithful in much, and one who is dishonest in a very little is also dishonest in much.” What seems petty and insignificant is still worthy of our best effort if it’s what God has for us to do here and now. It is in those moments you prove your faithfulness even when it doesn’t seem important. At the root of our perceived slight by life is often a misconception of our personal value. We believe we, for some reason or another, deserve something better, or different, than what we currently possess. We may tell ourselves we worked hard and deserve the promotion we didn’t get. We may even disparage the people who didn’t do or say what we wanted. The more we dwell on why we deserved something instead of looking at what we do have and should enjoy, the more bitter we become..
View things honestly. Look at the world around you for what it is rather than what your ego tells you it should be. You didn’t receive the promotion because you aren’t the right person for the job, there’s more for you to learn elsewhere. 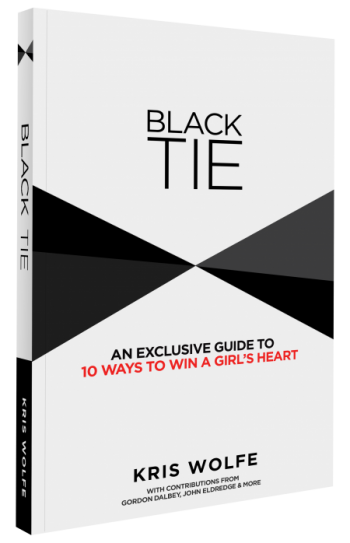 The girl turned you down because she really does like you as a friend and not as a lover. This kind of honesty can be difficult, it can even hurt at times, but the relief in knowing what’s true from false is worth it. Don’t spend your time navel gazing. Look around at where you are and the people you are in a position to help. God often chooses to work through people, and you may be the person He’s chosen to use for that time and place. Each person we meet is in their own struggle. Most of us spend a considerable amount of effort hiding insecurities. You never know what a kind word of encouragement can mean to someone’s day. It’s easy to become discouraged with thoughts, our wheels spinning with questions we cannot answer and hopes we cannot fulfill. The deeper we dig these holes the less likely we are to get out. Try dropping your metaphorical shovel and stop digging a mental ditch. Look around you at the ways your could be spending that time and energy improving the lives of the people around you. We must be challenged, as Mordecai challenged Esther, “And who knows whether you have not come to the kingdom for such a time as this?” We cannot see the big pictures of our lives, but God does. Where we are has consequences, will it be for better or worse? Where you are now may create opportunities to not only give to others, but to learn and grow the skills and knowledge you will need for the future. We can learn from the biographies of great men and women of the past, but knowledge is learned through application of the principles learned. Mentors we don’t know are around us. The lessons of their lives waiting to teach someone willing to learn. You will go through experiences and moments to teach you to see how to act and behave in ways you wouldn’t have thought of before. Use this time and place to begin the application of your skills, learn where you need to improve and grow. Be open to the lessons and instructions the situations of life will bring your way. 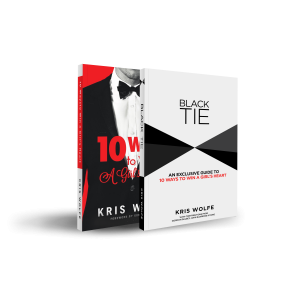 “But this is your business – to act well the given part,” Your responsibility is to perform your role – the role you have now, not the one you think you should have. Make a conscious choice to play your part to the best of your abilities. There was never a moment in my childhood where I envisioned a career in agriculture. To my adolescent imagination a prestigious position in a large company or academic studies seemed the surer path to forging my own happiness. God had different plans. Through one way or another I have found myself entrenched in an agricultural profession, speaking on agricultural topics on my Podcast (shameless plug), and spending daily communication discussing fascinating things like the weather and corn pricing. Far different than anything I could have imagined. I made a conscious choice to enjoy what I do. If this is where God wants me to be and the profession He wishes me to be in, I will play my role with all the energy I have. In Sustainable Agriculture there’s a bad habit of farmer’s worshipping creation over Creator, I have the opportunity to be a witness in this community. This isn’t a form of Stockholm Syndrome for farming. There are still moments that grate on my nerves and I wistfully consider what might have been, but overall I wouldn’t trade it for the world. My career is in a place that is unique, and has given me countless opportunities to share fascinating ideas with incredible people, more importantly, it’s the role God gave me to play. Contentment can’t be found so long as we hold onto our illusions of our own destiny – instead we need to focus on doing the work God has us to do, playing the role the Author wrote for us.